Dietmar Ohlmann recent series called „Lineage“ was written in the southern part of Hanauerland, between Offenburg and Strasbourg. Lineage means descent, origin. 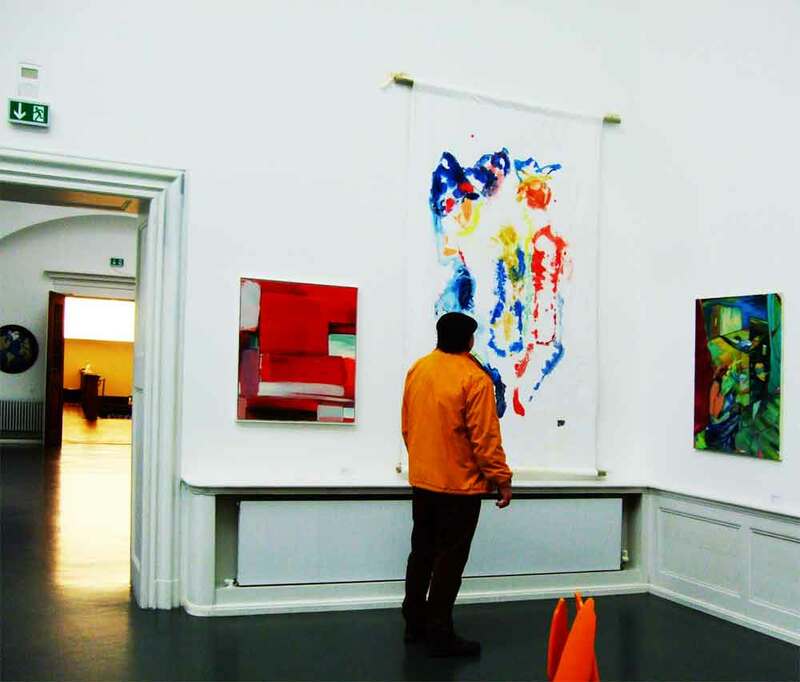 The series of works of art began with a family constellation, where the artist Dietmar Öhlmann experienced the origin of a person who was foreign to him. With the art project „Lineage“ an examination of the here and now takes place. Man as part of a story, society as a course of history. What irony in a time when democracies dissolve in the dictatorship of information, and societies question their cultural identities in facing migrations. The work “Black Forest natives” shows dancers dressed in the traditional costumes normally wore at the occasion of weddings and wore again last July for the 700 years of Eckartsweier, Ortenau. We see the costumes of the couple with their representative colors, the cap slip or hood for girls and fur cap with red vest and white jacket for the man, we can feel between them a kind of yellow figure, and may they symbolize an upcoming child or the DNA of our ancestors, which connects us respectively. 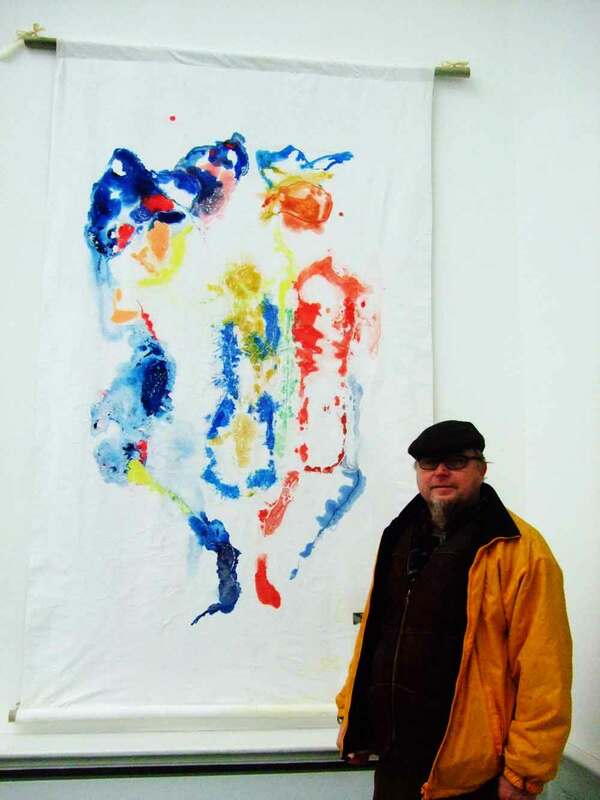 Dietmar Öhlmann’s works express dimensional permutations and metamorphoses that are to be contemplated in order to feel that unique personal moment. These works are full of light. We are all migrants of that time, who change our environment, and ourselves. That’s why we keep in mind what we love, repeat, not to forget, not to lose the yesterday that is today and maybe tomorrow, if we wish, but never will be like yesterday. Our roots, our history forges us, creates a home that we protect and protects us. Nowadays the roots are confused, the bonds are mixed, how can one find oneself without losing oneself? „I have no Roots“ sung by Alice Merton expresses the confusion of an intercultural experience, born in Germany, but through parents and lives with Canadian and European cultural ties. The experiences and conflicts over several generations which we can feel in the work of Dietmar, reflect also his own life. 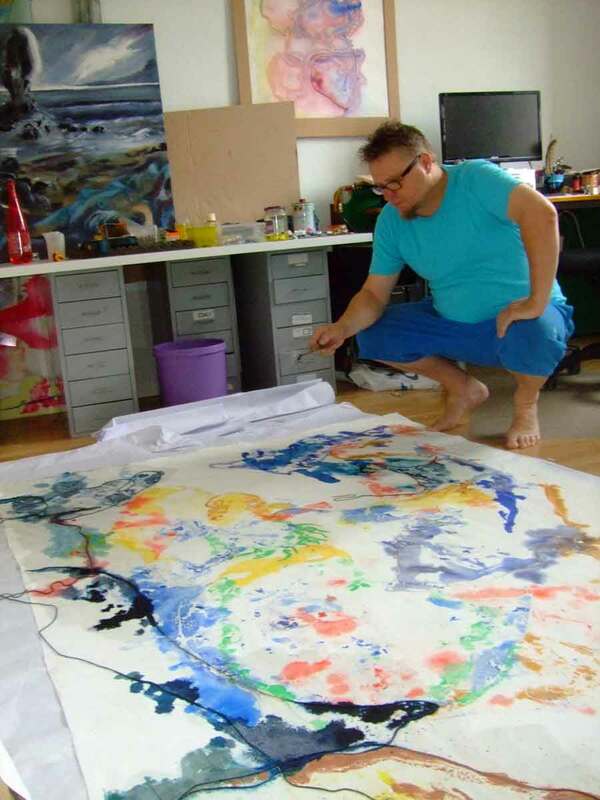 With „Lineage“ Dietmar Öhlmann does not use new media with sophisticated techniques, he uses an unexpected tool; a string of wool, to bring the oil on canvas or watercolor on paper. This work sets in motion a game of natural laws, attraction and absorption forces of materials, surface tensions, lines and colors. Dietmar Öhlmann was born in 1961 in Niedersachsen, he has a Master of Art from the Royal College of Art of London, after studying art and physics in Braunschweig, Chester, Liverpool and London. 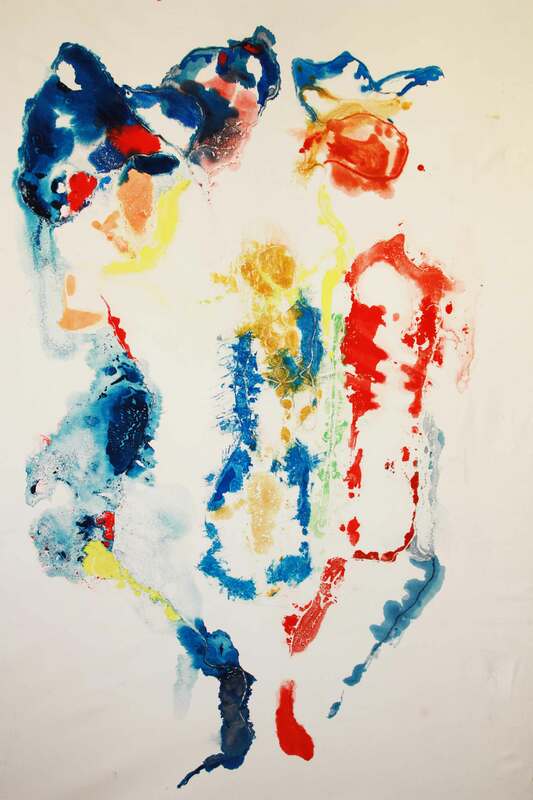 His works are always seeking new boundaries in painting and photography. From the photo to the digital hologram, Dietmar has already worked with all kind of techniques. His works are in several collections and he has been internationally exhibited. He lives now with his French/American wife and two sons at the French/German border in Kehl, Ortenau.